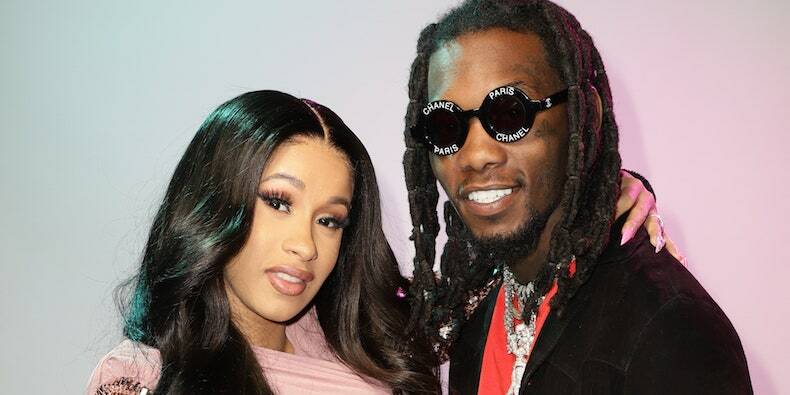 American rapper and singer, Cardi B confirms she and father of her future child, Offset had a secret wedding last year. It is official! Cardi B and Offset of Migos are married. Cardi B explained all details on her twitter page. “Well now since you lil nosey f–ks know at least ya can stop saying I had a baby out of wedlock,” she signed off. However, the Grammy nominee made it clear she was not too happy about the news breaking. Recall that Offset publicly proposed to Cardi B during Power 99’s Powerhouse in Philadelphia in October 2017, about a month after they got legally married. With the wedding out of the way, the couple look forward to the arrival of their baby.